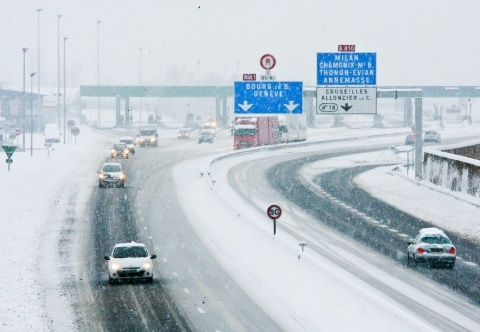 Air, road and railway transport across Western and Northern Europe has been disrupted by heavy snowfall and freezing cold. Major European airports such as Edinburgh, London's Gatwick, Lyon-bron in France, and Geneva, were closed, and the flights to and from Germany's Frankfurt were also affected by the inclement weather. Air traffic in Spain was also disrupted. The UK, France, Belgium, Germany, Switzerland, Poland have all been hit by the freezing cold. The snow and the cold also caused massive delays of trains and buses around the western and northern parts of the continent. Eight men have been found frozen to death in Poland, with the temperatures dropping to -26 degrees Celsius. At the same time, Northern Italy has seen downpours of rain and large-scale floods.